As many of you will know, my mother sadly passed away when I was still a child. It wasn’t just my mother that died that day, it was also a whole host of experiences that many people take for granted. I’d never get to tell her about my first boyfriend, or go wedding dress shopping with her, or hand a precious grandchild to her to hold for a while. Those things fill me with sadness, but strangely enough the one thing I never got chance to do but really wish I had was to bake something for her. When my son makes or bakes something for me, it fills my heart with so much joy and pride, and I wish I could have done that for her. The look of pure satisfaction and happiness on my son’s face as he watches my face light up… well that’s a look that will stay with me forever. I always loved baking and loved making things at school in Home Economics, as it was then called. Those lessons taught me so much. How to make shortcrust pastry, how to make a Victoria sponge. The methods and quantities used always stick in my head. One thing I was taught which I remember well was shortbread. 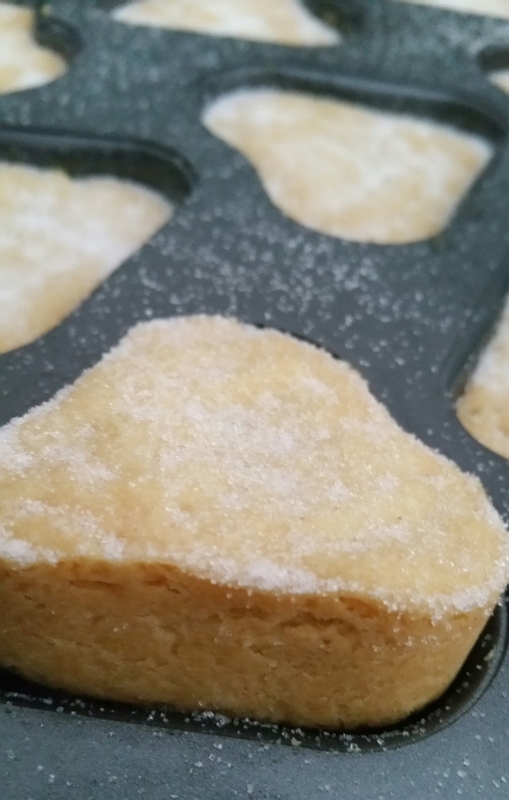 The easiest shortbread ever to remember. In those days (the 1980s) we measured ingredients in ounces not grams, and for shortbread my teacher used to write on the board “2-4-6-Ate”. Easiest ingredient quantities ever, right? It stood for 2 ounces of sugar, 4 of butter, 6 of flour, and that would make them good enough to eat. 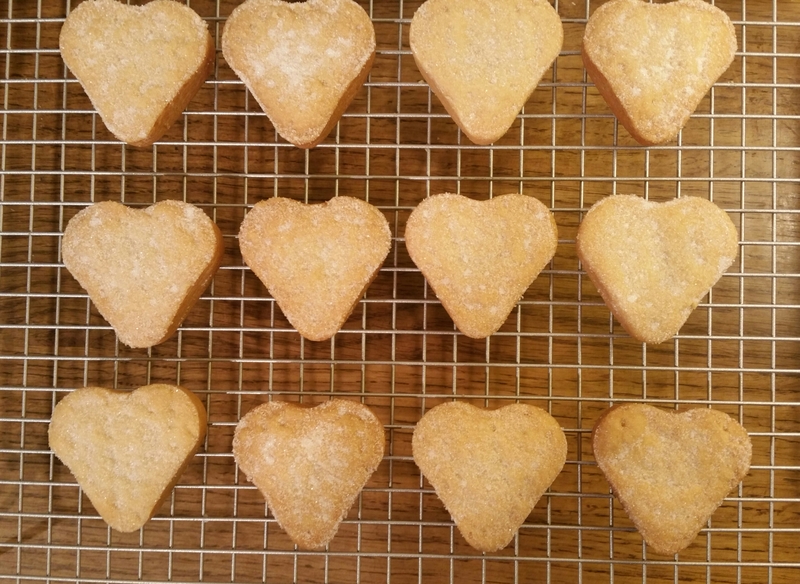 It is such a simple recipe, my 9 year old son knows it by heart too, and he makes scrumptious shortbread! 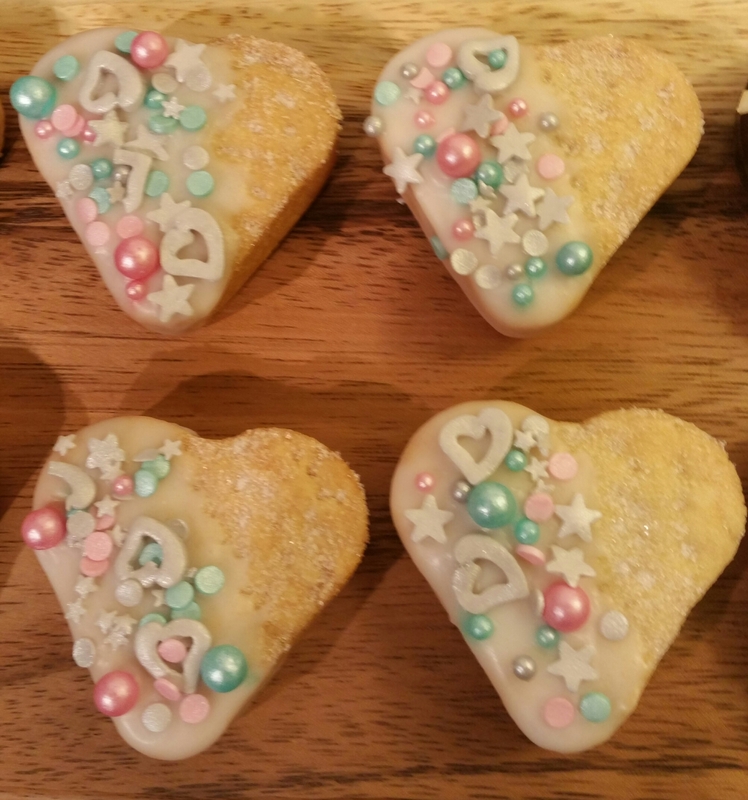 With Mother’s Day approaching I wanted to write a blog post of a recipe that would be easy enough for children to make, with supervision, to give to their Mums as a gorgeous little gift. Baked with love. A wonderful cookware and bakeware shop called The Little Cook Shop very kindly sent me a beautiful Eddingtons loose-based mini heart pan to try, and I decided this would be perfect for this recipe. The pan has 12 small heart-shaped cavities, and each has a removable base so you can get your bakes out so much easier. Push up from underneath and your bake just pops out. It is also non-stick for extra easiness. There is a scrumptious looking recipe on the back of the box to make strawberry and chocolate cheesecakes with this pan. I shall definitely be trying those at some point!!! This pan costs £9.99 and is well worth it at that price as the quality is fantastic. However, The Little Cook Shop have given me a code to pass on to you so you can have 10% off any order, making this pan just £8.99! I can’t recommend it highly enough. I will be using mine A LOT! It will be perfect for savoury bakes such as quiches as well as so many sweet bakes. Have a look around their website and enter the code CONFARREO10 at the checkout to redeem the discount offer. You can use it on anything you order, not just this pan. Back to the recipe. I normally only really use unsalted butter in my baking, but I was taught that shortbread is best when made with salted butter. It also is best made with butter that is slightly softened but still cold. Too warm and it affects the texture. Too cold and it’s hard to mix in properly. This is where a fairly new butter in the shops is just perfect. 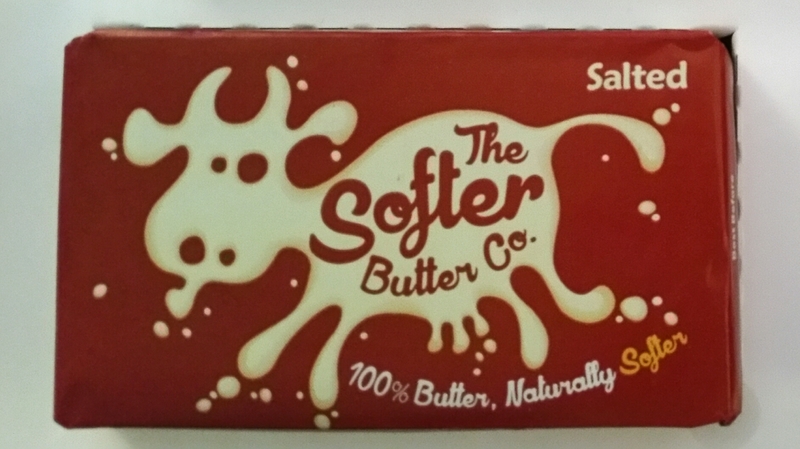 The Softer Butter Co. has produced a delicious butter that tastes exactly as you’d expect from a quality 100% natural butter, but it has one big difference. It is, as the name suggests, softer! No need to leave this one out of the fridge for a while to soften up, it is the perfect softness straight from the fridge. If you want to try it yourself, you can find it in Morrisons and in some Tesco stores. It is perfect for this recipe as it is softer but still cold. Use a pastry brush to grease the heart cavities with melted butter. Cream together the sugar and the butter, until pale and fluffy. You can do this with a wooden spoon or an electric hand whisk. Obviously the electric whisk is quicker, but children love mixing with spoons. Tip the flour into the butter mixture, and use a wooden spoon to mix well until you have a fairly stiff paste/dough and everything is combined thoroughly. Use your hands to gently press the mixture together and then divide into 12 equal sized balls, about the size of walnuts. Place one ball into each greased heart cavity, and use your fingers to press them down until they fill the bottom of the cavities and are level. Use a fork to prick them all over, making sure you don’t go all the way through them. Place the pan with the uncooked dough into the fridge. While it is chilling, turn your oven on to 170C or 150C if using a fan oven. When the oven has reached the temperature, place the pan on to the middle shelf and bake for 20-25 minutes until lightly golden. Remove from the oven and sprinkle the shortbread with caster sugar, if using. Leave in the pan for 5-10 minutes. 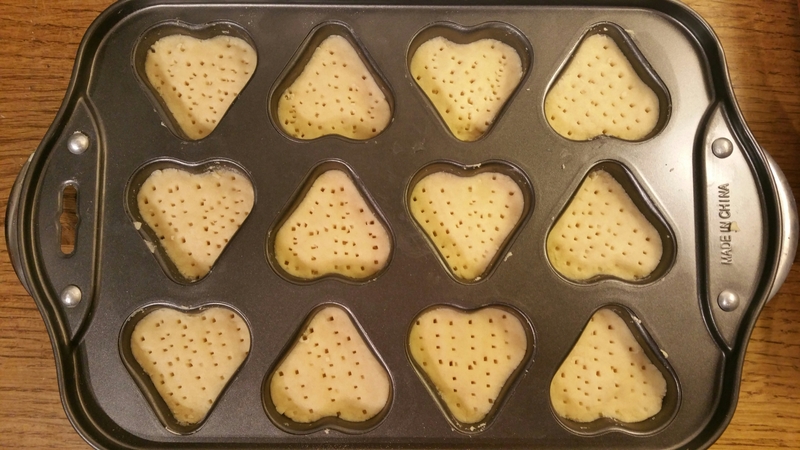 Using a clean tea towel to protect your finger from getting burnt, push up each heart shortbread from underneath, and place them on a wire rack to cool completely. They will pop up so perfectly and cleanly. You can keep them plain like this, and they will be delicious served with a cup of tea. They are perfectly crumbly and melt in the mouth. Or you can decorate them by dipping half in melted chocolate or icing, and sprinkling decorations on. 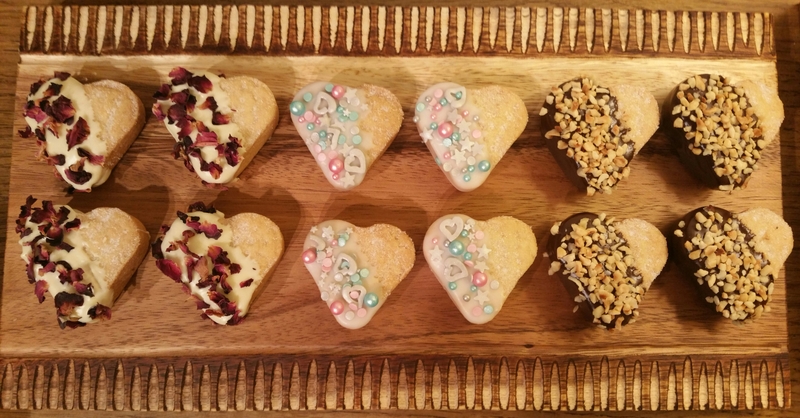 I love the different ways you can present them so I decorated 4 with melted white chocolate and dried rose petals, 4 with melted ginger dark chocolate and chopped hazelnuts, and 4 with icing and sprinkles. 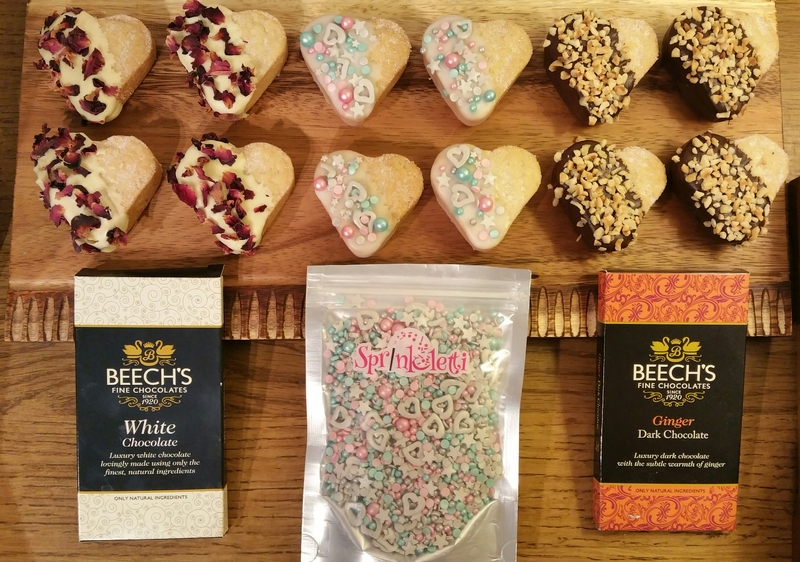 Beech’s Fine Chocolates make 60g bars of various flavours of the most delicious chocolate, and I used their bars for the melted chocolate decoration on these hearts. Their chocolate tastes so luxurious and smooth. The white chocolate was so creamy and the ginger dark chocolate had a beautiful gentle warmth. Of course, you can use any chocolate, but these bars make the shortbread so indulgent. Melt the chocolate either in a microwave (being very careful not to burn it) or in a heatproof bowl placed over a pan of barely simmering water, making sure the bowl does not touch the water. Dip each heart into the chocolate and then place back on the wire rack. Sprinkle with whatever decorations you fancy. If using icing, mix a few drops of water into 2 ounces of icing sugar, until it is thick enough to coat the back of a spoon, but runny enough to dip. Dip the shortbread into the icing and return to the wire rack. Decorate with sprinkles. I used the stunning Unicorn Sprinkletti available from Scrumptious Sprinkles. The colours in this are so feminine and magical, and the shapes are so pretty. My son said you could decorate them to show what you think of your mother. You love her so you make them heart shaped with this beautiful pan. Then if you think she’s pretty, you decorate with sprinkles or flowers. If she’s daft and nutty, you use chopped nuts. I asked him how he would decorate mine and he said with plenty of nuts! Charming! I hope you enjoy baking these oh so easy treats. And if your children will be making them for Mother’s Day I’m sure there’ll be some very happy mums. Don’t forget, if you head over to The Little Cook Shop you can buy anything you want and get a 10% discount if you use the code CONFARREO10 at the checkout. You could even pick up some presents for Mother’s Day there! 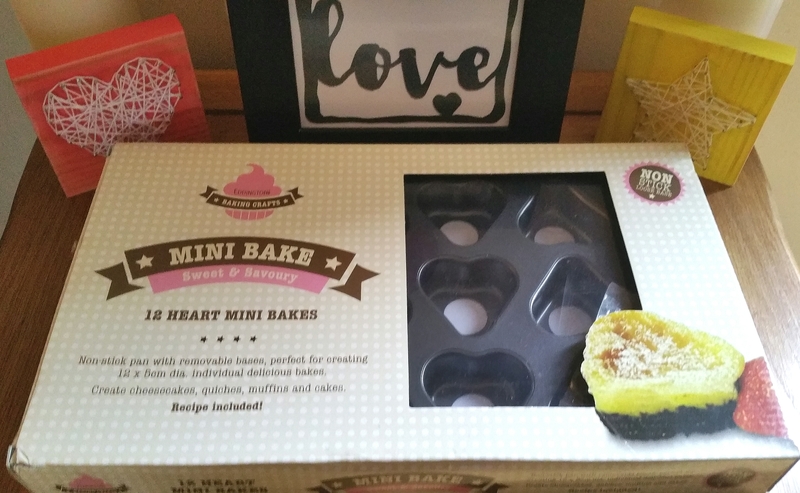 If you particularly want to buy this gorgeous mini heart pan click HERE to go directly to it. Happy shopping and happy baking! (EDIT 12/09/2018: The hearts pan is no longer available in this shop so I have removed the link for it. You can however use any loose-bottomed pan with 12 cavities for this recipe).